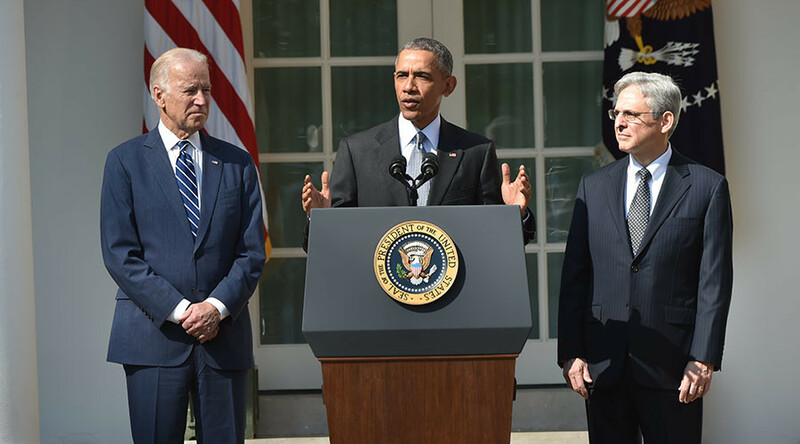 President Barack Obama announced Judge Merrick Garland as his nominee to replace deceased Justice Antonin Scalia on the Supreme Court, likely triggering a fierce battle with Senate Republicans who have vowed to block anyone from being appointed. During a Rose Garden ceremony at the White House, Obama said his selection was extremely qualified for the position and that the Senate should take its responsibility to consider a nominee seriously. Garland possesses honesty and integrity, as well as “respect and admiration from both sides of the aisle,” he added. The president specifically referenced past bipartisan support for Garland, including Hatch’s comment that Garland is a “consensus candidate,” saying the judge’s name has come up “repeatedly” from Republicans and Democrats. “To suggest that someone as qualified and respected as Merrick Garland doesn’t even deserve a hearing ... would be unprecedented,” Obama said. At 63, Garland is the oldest nominee since President Richard Nixon nominated Justice Lewis Powell in 1971. He is two years older than Chief Justice John Roberts, marking a break from the trend of presidents nominating younger justices to ensure they remain on the court for decades. Like Obama, Garland grew up in Chicago, Illinois and attended Harvard Law School, where he was a member of the Harvard Law Review. After graduating from law school, he worked as a clerk for Justice William Brennan, and worked at the multinational law firm Arnold and Porte. Garland was also a longtime prosecutor who helped the Justice Department oversee investigations into the 1995 Oklahoma City bombing. Prior to the president’s announcement, reports from Reuters suggested that Obama’s final decision was between federal appeals judges Garland and Sri Srinivasan. In an email, Obama laid out his thinking on the selection process. Obama added that any nominee should possess an independent mind, unimpeachable credentials, and a mastery of the law. Secondly, the justice should understand the judiciary system’s limits, and that the Supreme Court’s job is not to make the law but rather to interpret it. 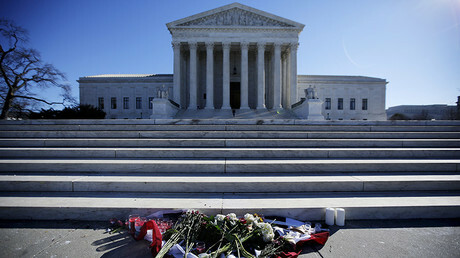 Regardless of any nominee’s qualifications, the Supreme Court nomination process will likely be embroiled in a political battle considering 2016 is a presidential election year. Any appointment could dramatically alter the balance of the court, currently filled with four conservative and four liberal justices. The last time a president's Supreme Court nominee was denied a vote? Ever since Scalia’s death in mid-February, which occurred with 11 months left in Obama’s second term, Republicans have promised to block any nominee from consideration, much less a confirmation vote. They have argued that Obama should not appoint a justice in the middle of an election year, and that the next president should be able to make the decision. Democrats, including Obama, have countered that it is the president’s constitutional responsibility to nominate someone and that it is the Senate’s responsibility to consider them. "It is tempting to make this confirmation process simply an extension of our divided politics… but to go down that path would be wrong, it would be a betrayal of our best traditions," he said. "I simply ask Republicans in the Senate to give him a fair hearing and a simple up-or-down vote." Garland's wife and younger daughter joined him at the White House for the announcement, but his older daughter is off hiking and out of cell service, he said, causing the audience to laugh.